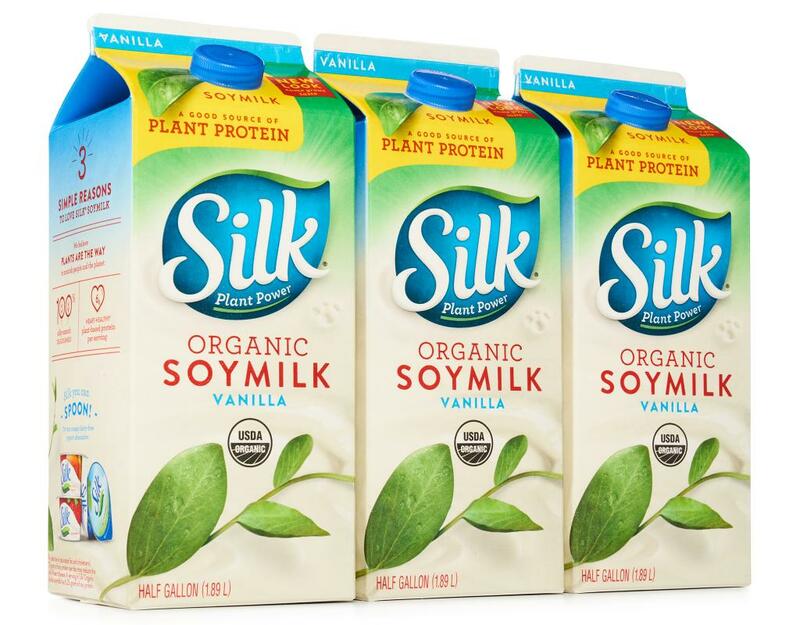 Try Silk Vanilla Soymilk anywhere you enjoy dairy milk - over your cereal, in your coffee or simply by itself. We're talking irresistible vanilla flavor and 50% more calcium than dairy milk. 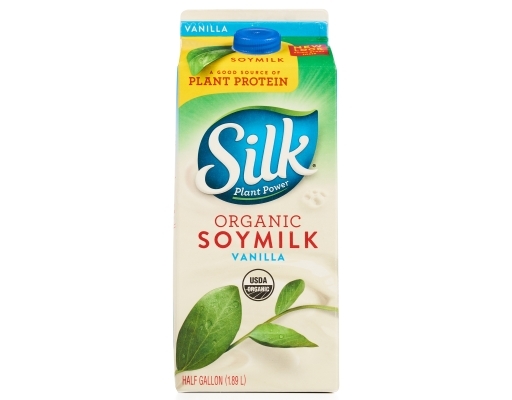 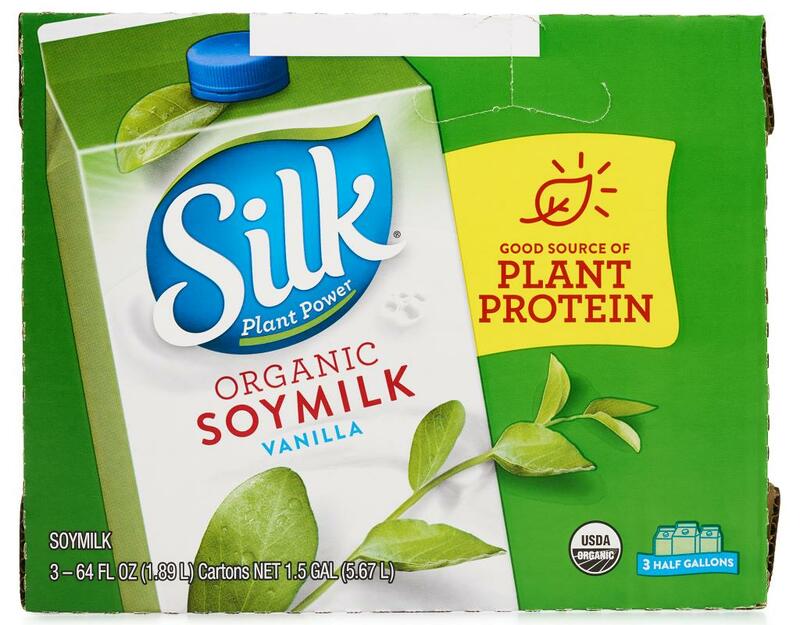 Plus, soymilk is a good source of wholesome, nutritionally-complete soy protein. 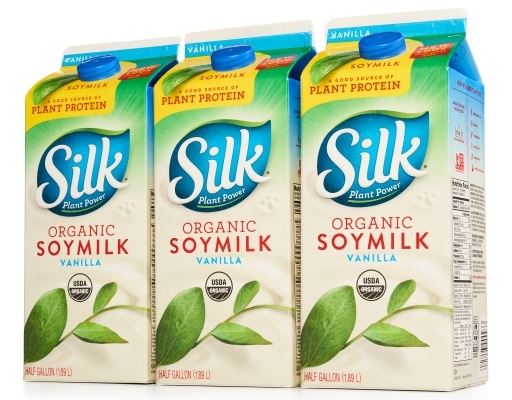 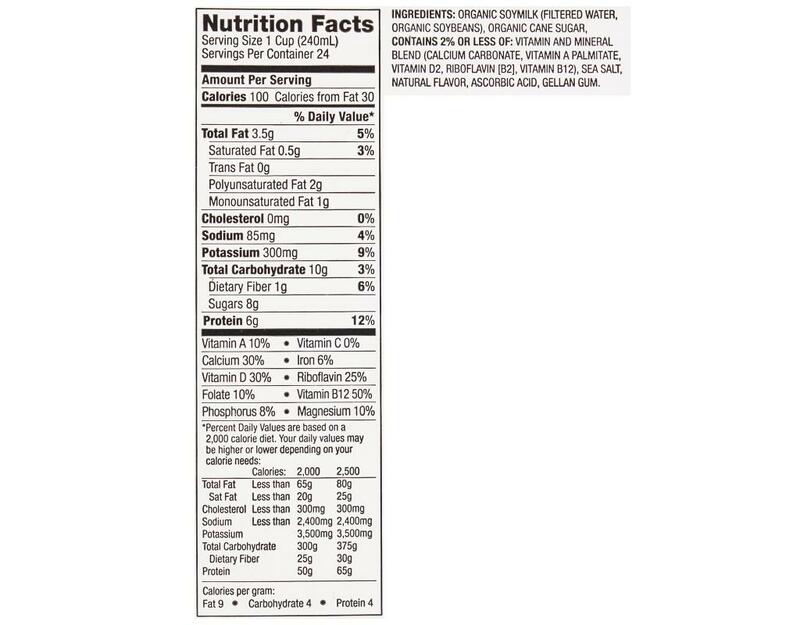 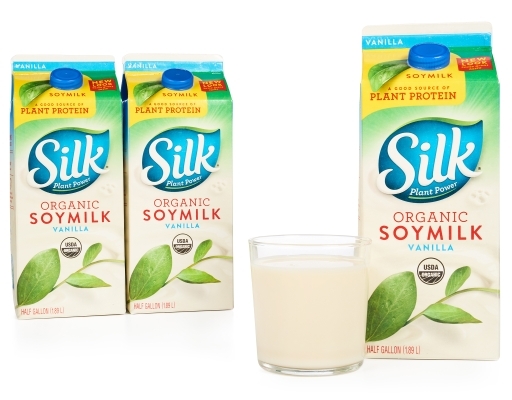 Soymilk (Filtered Water, Whole Organic Soybeans), Organic Cane Sugar, Natural Flavor, Sea Salt, Carrageenan.